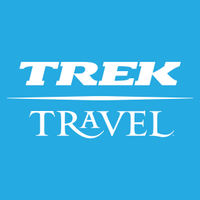 Trek Travel is giving away a fantastic vacation to Portugal! Simply share your Travel Trek trip photo with them to enter once for your chance to win this trip worth more than $3000! One winner will receive a Trek Travel trip for one (1) to Portugal. Exact trip date is subject to availability. Prize includes (i) first class hotel accommodations for six days/five nights (1 room, price based on double occupancy, option to upgrade to single room for $650); (ii) use of a Trek Domane 5.9 bicycle; (iii) daily breakfast, two lunches, three dinners, two social hours, daily route support (and experienced guides). Other incidentals, guide gratuities, airfare, transportation to the trip start and from the trip end are NOT included. The trip has an approximate retail value of: $3,299.